This entry was posted on January 8, 2018 by Bo Taylor. Corona, CA Jan. 8th, 2018- aFe POWER, the leading manufacturer of high performance aftermarket automotive products is proud to announce their partnership with the GenRight Off Road Team competing in this year’s Ultra4 Racing Series. The series challenges drivers to compete in a wide variety of terrain from endurance desert racing to competition-style rock crawls to short course racing and currently produces six races in the series. Piloting the GenRight 4400 Unlimited Class off-road truck will be Jordan Pellegrino. “Jordan has put in a lot of seat time in the 4585 (Stock Mod Class) during the 2017 season, and I feel it’s best to move him up to the 4400 Class in Ultra4” said team manager and father, Tony Pellegrino, owner of GenRight Off Road and past KOH podium competitor. “We rely on peak engine performance to be competitive in an Unlimited Class and appreciate the support the folks at aFe are offering and working with us to give us that advantage!” Tony stated. aFe POWER’s commitment to engineering and manufacturing quality performance products has always been priority number one and practices the same philosophy of GenRight's, to utilize racing to test product. 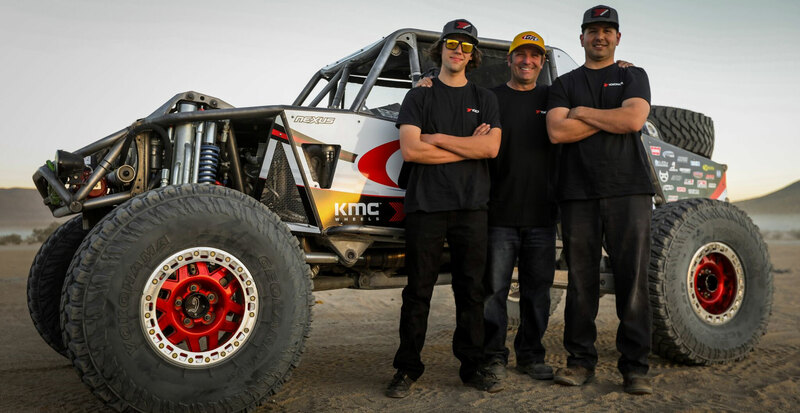 “aFe is excited about supporting the GenRight father and son team as Jordan transitions to the Unlimited Class and to see our products perform in the most extreme environments” said Shahriar 'Nick' Niakan, President and CEO, advanced FLOW engineering (aFe Power). Look for Jordan Pellegrino and the GenRight Ultra4 Racing 4400 Unlimited Class debut at the King of the Hammers, Feb. 2-10 in Johnson Valley, CA.